Impossibly tender. Overflowing with flavor. The best pork we've ever eaten. Paired with equally fantastic braised carrots. I consider this simple pork shoulder steak recipe one of my greatest culinary achievements. 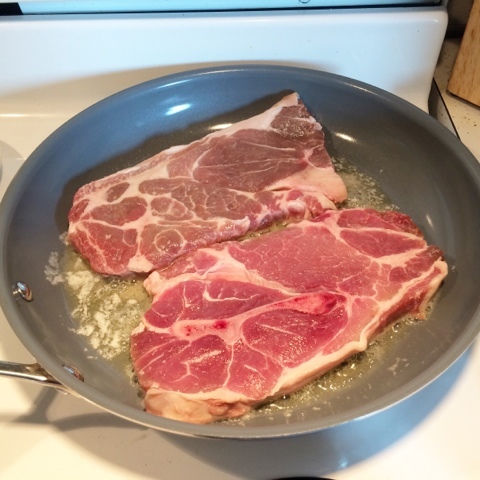 Eighteen months ago, I didn't know what pork shoulder steaks were and I didn't know the first thing about braising. I opened the package of steaks, took one look at the vast network of connective tissue, and thought, "Oh, gosh, I can't broil these." So, I pulled out my trusty cookbook and tried to figure out how in the heck pork shoulder steaks are supposed to be cooked. My cookbook did a very nice job explaining what pork shoulder steaks were and said they are best when braised, but didn't include a recipe for braising them. Where my cookbook failed me, the internet saved me. A search for braised pork shoulder steaks returned a handful of recipes. None of them looked very appealing, but they at least gave me an idea of how to attempt braising and some guidelines for cooking times. Note: The second half of that column is about what happened when I tried to make these steaks with an herbed rub. And the reason why this recipe is now very simple. Several packages of pork shoulder steaks later, I now have an amazing recipe for preparing these steaks. 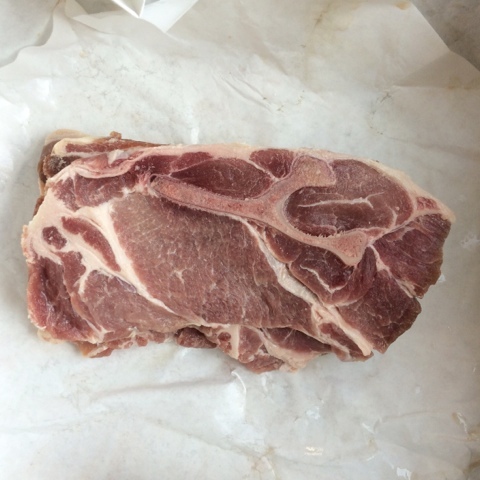 I'm guessing that most people don't go out and buy pork shoulder steaks from their meat counter. I probably wouldn't have – they look intimidating. Our steaks came from the pigs we raised, so I felt obliged to find a way to prepare them. And I had an abundant supply of steaks to practice with. It's really too bad that pork shoulder steaks don't get as much attention as, say, pork chops or loin roasts, because, in my opinion, they are the best cut of pork. The secret, of course, is how they're prepared. For these steaks, braising is the key. By slow cooking, half submerged in seasoned liquid, these steaks become melt-in-your-mouth tender and immensely flavorful. 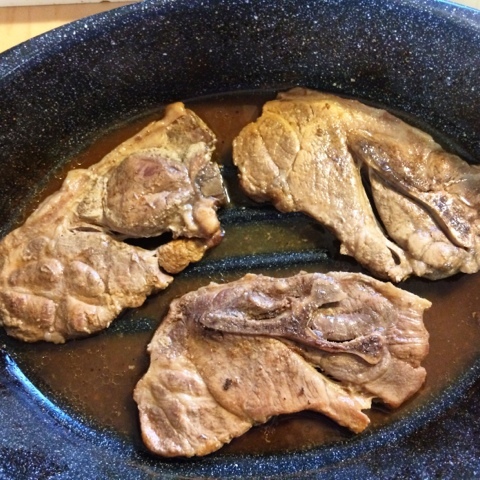 The connective tissue melts away during cooking and contributes greatly to the flavor of the steaks and the braising liquid. As Dan said after my first attempt at braising pork shoulder steaks, "This is the best meat ever." Lots of recipes for braising pork include vegetables and complicated sauces, but I don't add anything to the roasting pan besides the steaks and the braising liquid. The braising liquid for this recipe is apple juice, cider vinegar, and tiny bit of seasoned salt. One of the keys to braising is first browning the meat. I brown these steaks in butter, for two reasons. First, butter adds a savory flavor that pairs well with the apple and cider. Second, I always have butter on hand. Melt the butter over medium heat until it's nice and bubbly. Then, add the steaks. I brown them for three minutes on each side. Just until they're lightly browned. I used to make this recipe with two steaks, but that isn't enough to feed all of us anymore. So now I make this dish with three steaks. If you're using three steaks, add another tablespoon of butter to the pan before browning the third steak. Once the steaks are all browned and transferred to the roasting pan, add a little apple juice to the pan, and stir with a rubber spatula to dissolve all the browned bits. Then scrape/pour this pan juice over the steaks. Cover the roasting pan. If your pan has a tight fitting lid, use that. Or, use aluminum foil. I poke a couple holes in the foil with a meat thermometer. I've found that the steaks braise best when a little steam can escape. Place the roasting pan in a 325°F oven and set your timer for 45 minutes. After 45 minutes, work quickly to flip the steaks over, reseal the pan, and return the pan to the oven. Then cook for another 45 minutes. When the steaks are done, they'll be fork-tender and well browned. The braising liquid will be reduced and full of flavor. 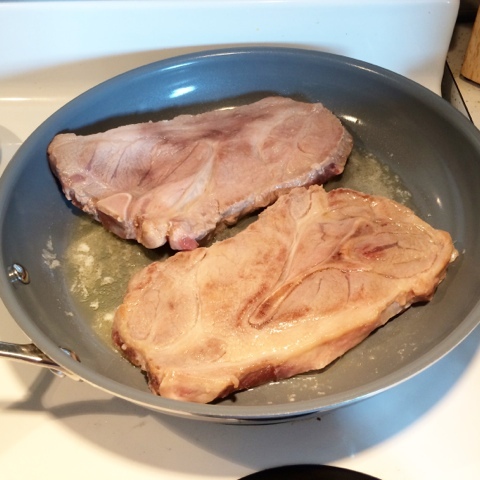 To serve pork, remove bones, trim fat, and break meat into small chunks. Pour braising liquid over meat before serving. 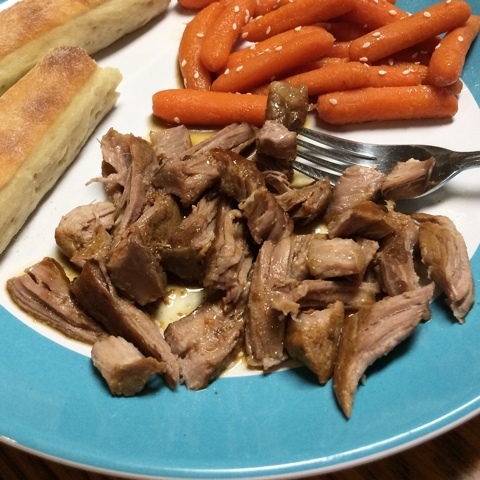 I (almost) always make these pork shoulder steaks with stove-top braised carrots. When there's about a half-hour left on the timer for the steaks, I start the carrots. This recipe for braised carrots is a combination of two recipes. The inspiration for the seasoning came from a cooked carrot recipe our friend Clara made for us one time when we were visiting. The cooking method comes from Joy of Cooking. I use peeled, ready-to-eat petite baby carrots from the grocery store for convenience. Feel free to use regular carrots that have been peeled, quartered, and cut into 2½ inch sticks. 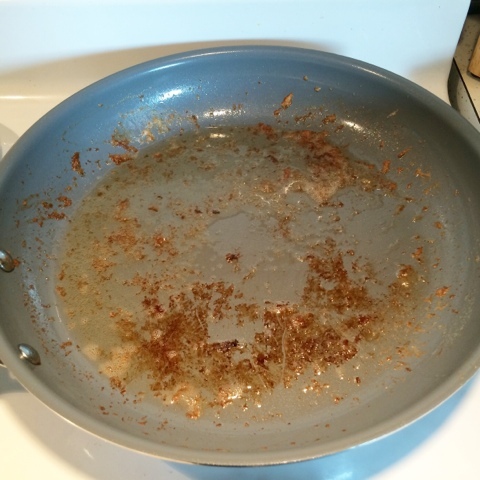 Add water, butter, brown sugar, lemon juice and salt to a large sauté pan set over medium heat. The pan needs to have a tight-fitting lid and be big enough to hold the carrots in a single layer. 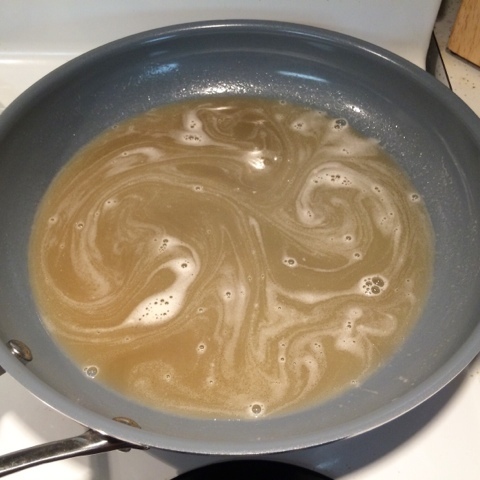 Once the butter has melted, stir to dissolve the sugar. Add the carrots in a single layer and cover the pan. When the braising liquid starts to boil, reduce the heat to low. The liquid should just barely simmer. Cook for 20 minutes and then check for tenderness. If you can press through the carrots with the side of spoon, they are done. If not, cover and cook for another 5 minutes. When the carrots are done, there should be only a little liquid left in the pan. If there is more than a little, continue cooking, uncovered, until the liquid reduces. I like these carrots with sesame seeds, but my kids don't, so I sprinkle the seeds on after I've plated my carrots. Otherwise, toss the sesame seeds with the carrots before serving. 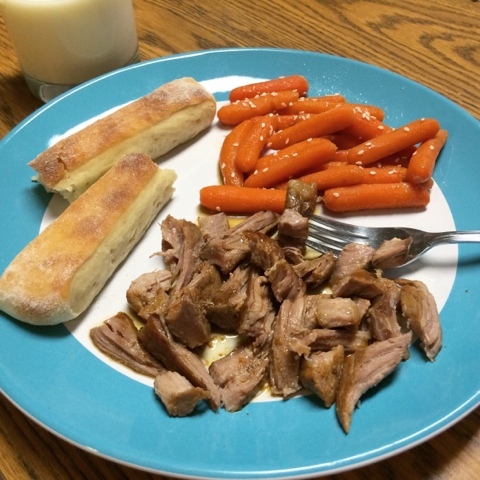 Both the carrots and the pork make great leftovers. Just be sure to package the pork with the braising liquid. 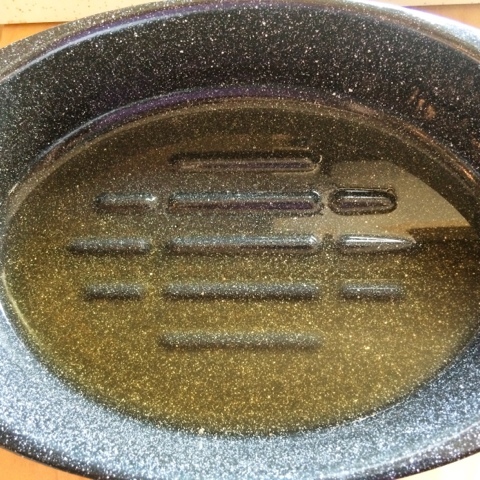 Combine 1 cup of apple juice (you'll use remaining ¼ cup later), cider vinegar, and seasoned salt in roasting pan. Stir to dissolve salt. Set roasting pan near stove. 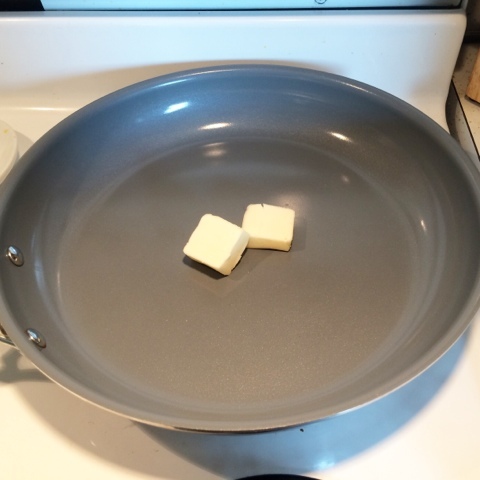 In sauté pan, melt 2 tablespoons butter over medium heat. Once butter starts to bubble, place two steaks in pan and brown for 6 minutes, turning half way with tongs. Transfer browned steaks to roasting pan. If making three steaks, add remaining tablespoon of butter to pan, brown third steak, and transfer steak to roasting pan. 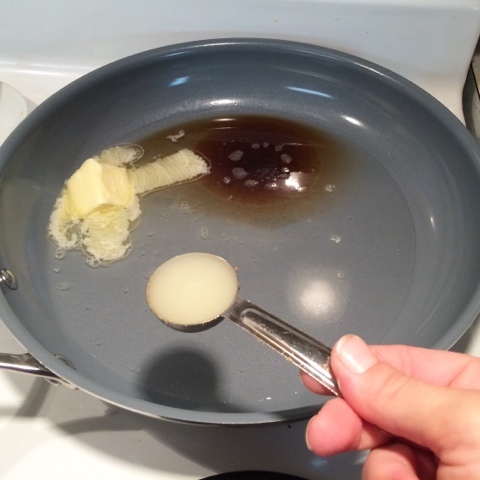 Remove sauté pan from heat, add remaining ¼ cup of apple juice, and stir with spatula to dissolve browned bits. Pour pan juice over steaks in roasting pan. Cover roasting pan. 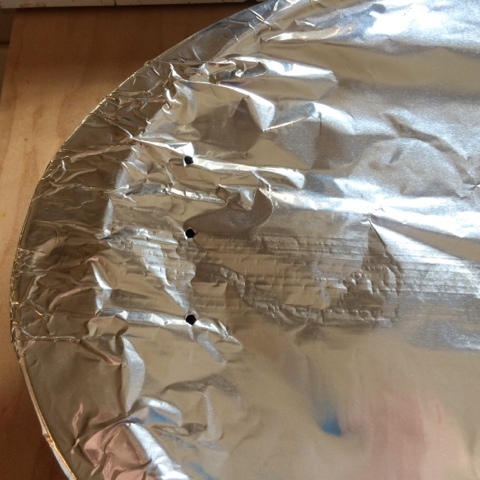 If using aluminum foil, poke 3 small holes in foil. Place roasting pan in oven and cook for 90 minutes, turning steaks after 45 minutes. When steaks are done, they should be well browned and extremely tender. Remove bones, trim fat, and break steaks into chunks (don't shred). Pour braising liquid over meat before serving. 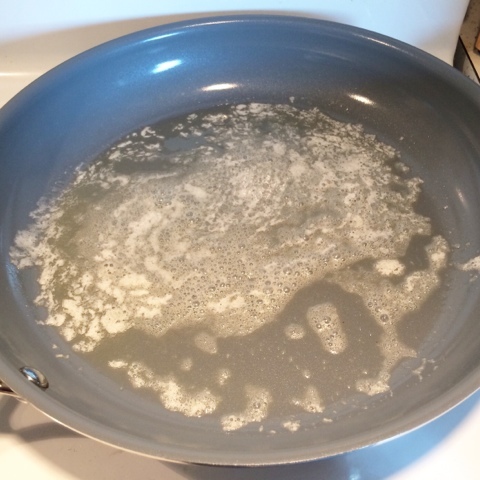 Combine water, butter, sugar, and lemon juice in a sauté pan over medium heat. 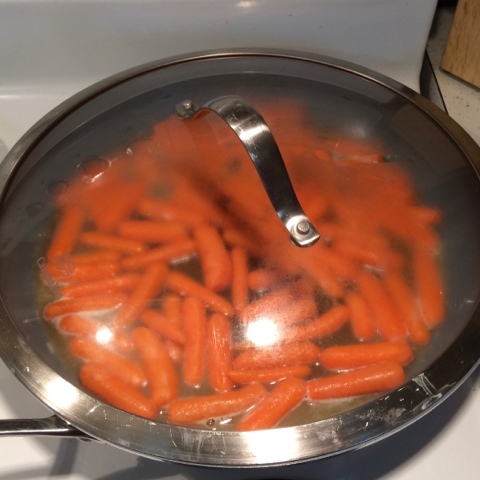 The pan needs to have a lid and be large enough to hold the carrots in a single layer. 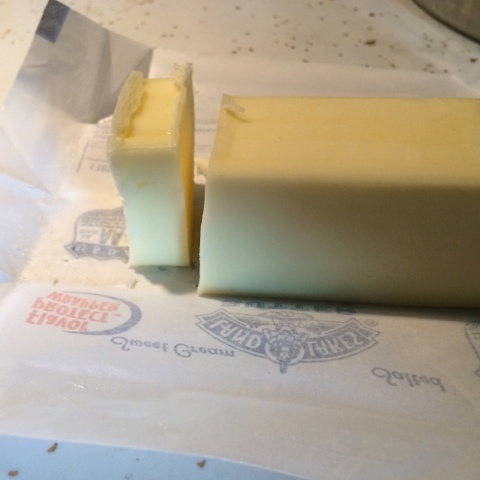 Once butter has melted, stir to dissolve sugar and combine ingredients. 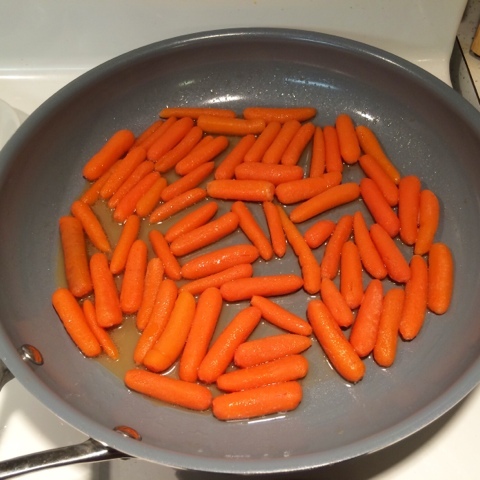 Add carrots to pan in a single layer and cover pan with lid. As soon as braising liquid starts to boil, reduce heat to low. Simmer for 20 minutes. Check carrots for tenderness. If you can slice through them easily with a spoon, they are done. If not, continue cooking. As soon as carrots are tender, depending upon how tightly the lid fits on the pan, the braising liquid may be partly or significantly reduced. If carrots are tender and braising liquid remains in pan, remove cover and simmer until liquid is reduced to almost none. Sprinkle braised carrots with sesame seeds, if using.